NIDEC-SHIMPO’s Heavy Industrial power transmission products are ideally suited for more extreme manufacturing processes, where durability takes some precedence over the need for finer control. These power transmission products were some of the first technologies that NIDEC-SHIMPO initially developed during its storied past and continued to refine over time. 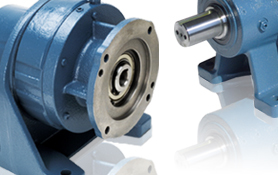 Our Heavy Industrial product category includes our Mechanical Adjustable Speed Drive and Cycloidal Style Gearboxes, where NIDEC-SHIMPO is one of the only companies in the world that has perfected the production of these technologies at any significant volume and consistently high level of quality. Our heavy industrial gearboxes are commonly applied in many industrial segments including oil & gas, mining, agricultural operations, steel production, wastewater treatment and recycling processes, among others. 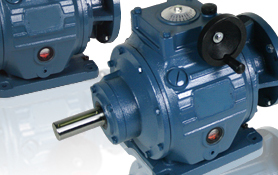 These gearboxes are some of the most compact and durable technologies in the marketplace, and therefore have become a popular solution applied in almost every industrial manufacturing environment that poses a challenge.